In the world history, it may only Bali that celebrates its new year by stopping its entire activity in a day full. There is no lavish party on celebrating a new year; instead it’s in total silence for 24 hours. No vehicles are allowed on the road, no activities, and no lights in the night which makes the island scarcely dark for one night. It’s a one of a kind experience. 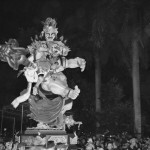 The series of Nyepi observance runs for three days with distinct sacred rituals, from offerings to huge papier-mache parade (known as ogoh-ogoh). For Balinese Hindu, it’s a day of self introspection to reflect on values, such as humanity, love, patience, and kindness, while on the other hand it also sends a lovely tribute to energy saving and global warming in the global world. 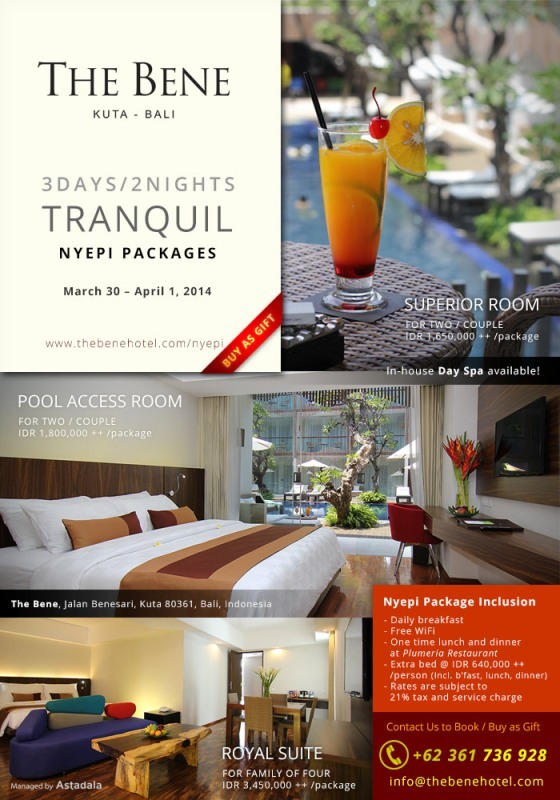 This year, Nyepi falls on March 31st 2014 and we invite you to experience the tranquility of this day with us. We have special Nyepi packages for couple at our superior and deluxe room, and for family, a special package is arranged at our royal suite room. 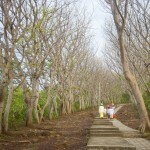 The packages include benefits of free breakfast, free one time lunch, and dinner on the Nyepi day. Let’s enjoy the serene side of Bali and share the remarkable holy moment at The Bene Hotel.